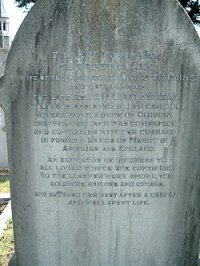 The memorial is in Taplin's Plot which is the second on the left on entering from the St. Marys Road entrance. It is 6 rows back near to the chapel. OF THE UNIVERSAL MERCY BAND MOVEMENT. 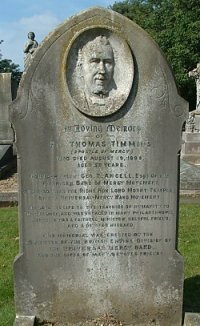 There is an account of the life and works of Reverend Thomas Timmins on the History In Portsmouth website.